Commercial Quality You have seen the unique square jar before. For years blending professionals have used Blendtec machines in the best coffee shops, juice bars, gyms, and restaurants around the world. Blendtec machines are known for producing the best, most consistent results in taste and texture. With the Total Blender, you will enjoy the same great results in your home! Blend Cycles The Total Blender comes with our exclusive Smart-Touch Tec-nology™. This means that when a cycle button is pushed, the Total Blender automatically speeds up and slows down, then shuts off when the cycle is complete, so recipes turn out perfect every time. Plenty of Power Tired of your blender not being able to crush ice? The Total Blender® has so much power (1560 Watts) it turns ice to snow and actually comes with an Ice-Crushing Guarantee. Multi-Tasking From the home gourmet chef to the everyday smoothie fan, the Total Blender® fits your lifestyle. Order now to begin enjoying the benefits of the Total Blender! 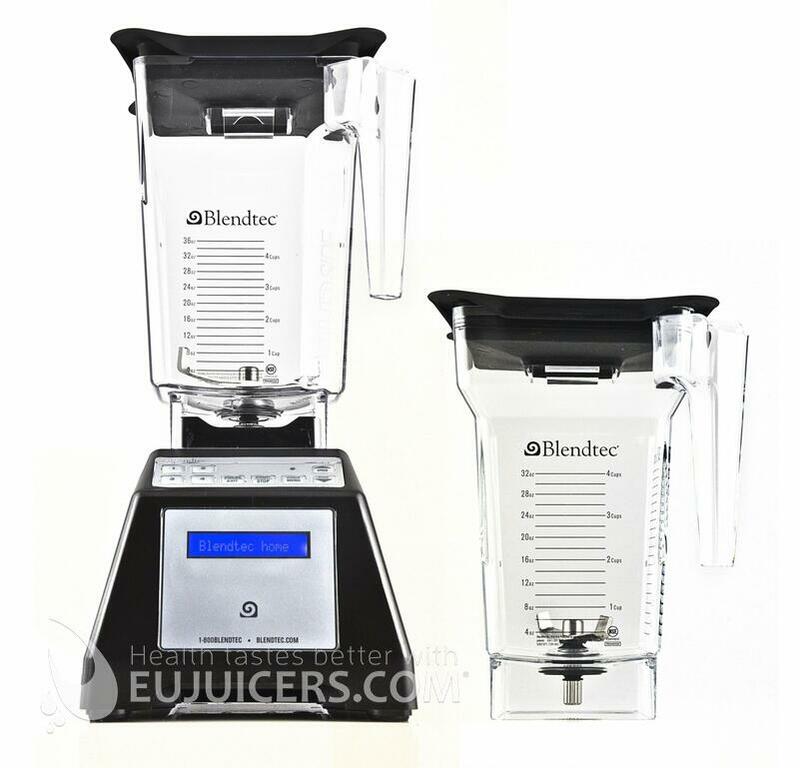 Blendtec Total Blender (HP3A) is a household variant of the famous Blendtec commercial blenders. 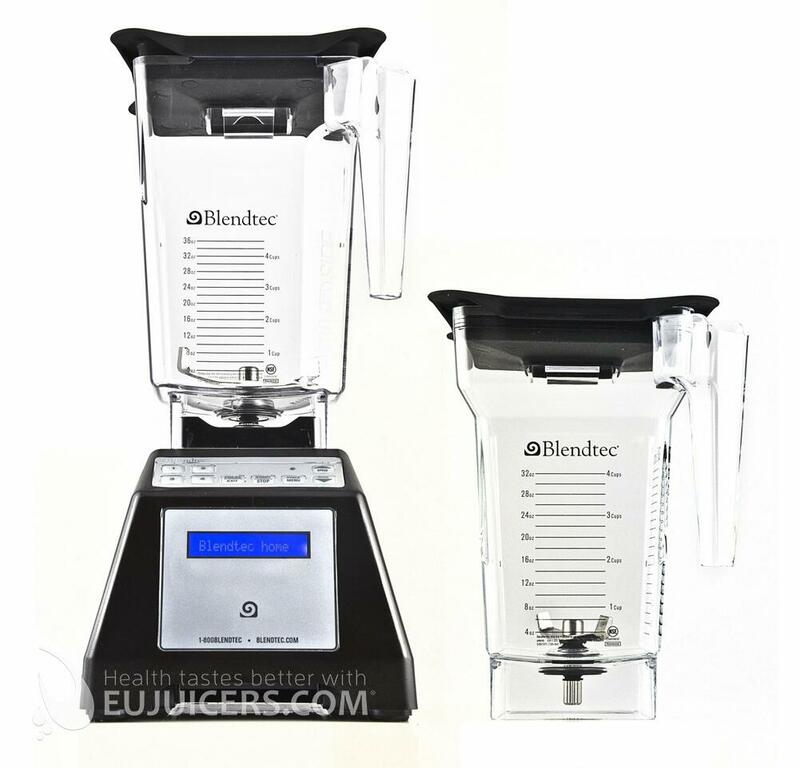 Blendtec is well known worldwide for its quality and is rightly known as a leader in the blending market. This household model differs from commercial models in just a few ways. It doesn't come with a USB interface for editing custom blending programs and the blender can´t be mounted into a countertop.